Which Mazda3 Should I Buy? 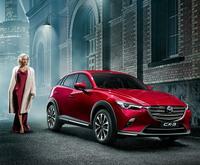 The Mazda3 is one of Australia’s most popular cars and has been in production for 40 years. But did you know there are six different model variants? From engine capacity to features, there’s quite a difference between Mazda3 model options. Our experts have outlined the key differences between each model so you can make an informed decision about which Mazda3 will suit your lifestyle. 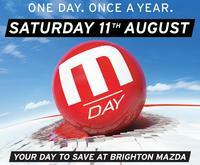 At Brighton Mazda we of course stock all models and can offer further advice and prices in-person. The entry level Neo is a quality vehicle that includes all the essentials. With rear parking sensors, and smart city brake support forward, it’s a safe car with a 5 Star ANCAP safety rating. A 2.0 litre SKYACTIV engine means good performance on the road and 16-inch alloys adds style. The Neo is the most budget conscious choice of the Mazda3 range. This model would suit first car buyers, young professionals and those who want need a reliable vehicle to get them around town. *Mazda3 Neo has just had a price drop! 2017 plate models now available from $21,490 driveaway. Our most popular Mazda3 model variant is the Mazda3 Maxx. Where the Neo includes a simpler 4 speaker monochrome entertainment screen, Maxx models upgrade to our fantastic MZD connect entertainment system. That’s a 7-inch colour touch screen with 6 speakers and satellite navigation. Maxx also has enhanced safety with blind spot monitoring and reversing camera. Maxx is the perfect mid-range vehicle for those buying their first or second new car. It’s also a great choice for older drivers looking to downgrade from a larger passenger car. If you value safety and convenience then the Maxx really offers a good deal. *Mazda3 Maxx has just had a price drop! 2017 plate models now available from $23,490 driveaway. The main difference between Maxx and Touring is additional style and technology. Touring models come with leather interior including seats and steering wheel. Also included are rain-sensing wipers and dual-zone climate control (great for Melbourne’s unpredictable weather!). If you desire a leather interior then Touring is the model for you, as earlier models only have a cloth option. The additional automatic technology will suite those who enjoy their creature comforts and those who spend a lot of time driving. *Brighton Mazda have outstanding deals on all 2017 plated new and demonstrator stock including all Mazda3 models. The SP25 model is the first model to increase the engine capacity, increasing from 2.0 to 2.5 litres. Alloy wheels increase from 16 to 18-inches for a stylish upgrade. The Mazda3 SP25 also comes with advanced keyless entry, which means you won’t even need to take out your keys to open the car. The SP25 is great for those who enjoy a more powerful engine and better performance on the road. This car will suit a busy professional or a couple who want a car with both performance and style. Taking the step up from SP25 to SP25 GT means more premium features as we get to the top end of the Mazda3 range. GT models get an impressive Premium Bose® 9 speaker audio system for even better sound. GT owners will also enjoy adaptive front-lighting system as well as Mazda’s Active Driving Display for added safety. Music lovers, people who drive often and those who want an even safer drive. The Mazda3 SP25 GT is a premium choice for those who are after a perfect match of style, safety and performance. *Mazda3 SP25 GT has just had a price drop! 2017 plate models now available from $29,990 driveaway. The top of the range SP25 Astina is truly the bee’s knees of Mazda3. In addition to the premium GT features, the Astina adds even more luxury for the driver. On the exterior, adaptive LED headlights and sunroof take the Astina to the top of the line in style. 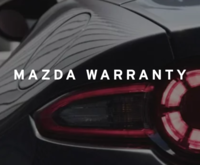 Inside, we have Mazda Radar Cruise Control, which automatically maintains a safe following distance from the car in front, perfect for long drives and on highways. Those with a higher budget who want a vehicle that ticks all the boxes. The SP25 Astina offers every comfort for the driver, with top of the line safety features and style. In particular, those who drive often and long distances should consider the value of radar cruise control. A sunroof is also only available on the Astina model. If you’re still stuck between two models, we suggest viewing and driving them both to ensure you make the right choice. Brighton Mazda have the full Mazda3 range in stock both in hatch and sedan available for test drives Monday through Saturday. Our team will be able to give you the best advice as to which Mazda3 model is the best value for you and your needs. For those wanting to read more, check out the positive reviews of the 2017 Mazda3 range via Motoring.com.au and Carsguide.com.au.